Over the course of the last 9 months or so I have been running the Windows 8 previews in various configurations on my hardware to test things out and learn the new OS layout. Along the way I have posted a couple of walk through videos to share how things work in the new OS. As expected there have been mixed reactions in the comments of those videos but a more common theme is starting to emerge and that is to just give Windows 8 a chance. In other words – take the time to learn the new OS and how to navigate it/use it before pronouncing judgment on it and the new Metro UI – ummm sorry – Modern UI. I am a long time Windows user dating back to Windows 3.X and can remember the transition to Windows 95 and how challenging it was to get used to that Start button as well as this concept of Folders for storage. Today that all seems second nature to most of us. Of course, the move from Windows 95 to Windows 98 to Windows Me to Windows XP to Windows Vista to Windows 7 was fairly straight forward as the overall operation and interaction with the OS remained the same. Windows Observer Microsoft Windows 8. permalink. I have yet to hear a reason why I should “upgrade” to windows 8. What exactly does it do better than Windows 7? Looks are not enough of a reason to change, I need some improvement over what I currently have. Why spend money and time to learn a new system if it does not offer significant, definite benefits over the current systems? 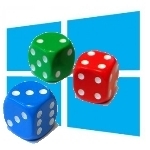 Window 8 is an OS that most people don't need. Microsoft only made it because no one wants a Windows Phone. So to force people to buy a Windows Phone they are putting the interface on everything. People using a non-touch device desktop, laptop etc should not be force to use the Metro or Modern style. I think this will be like Windows ME. I have no plans to ever upgrade. If you install Classic Shell on Windows 8 It will bring the old start menu. And there are performance improvements in windows 8 from windows 7 such as boot time. It has been reduced by a lot.